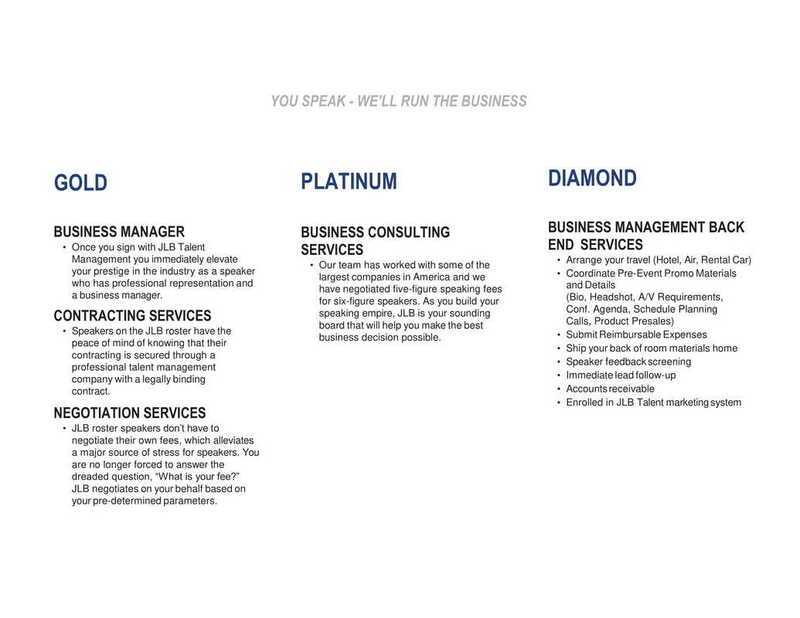 Once you sign with JLB Talent Management you immediately elevate your prestige in the industry as a speaker who has professional representation and a business manager. Speakers on the JLB roster have the peace of mind of knowing that their contracting is secured through a professional talent management company with a legally binding contract. JLB roster speakers don’t have to negotiate their own fees, which alleviates a major source of stress for speakers. You are no longer forced to answer the dreaded question, “What is your fee?” JLB negotiates on your behalf based on your pre-determined parameters. Our team has worked with some of the largest companies in America and we have negotiated five-figure speaking fees for six-figure speakers. As you build your speaking empire, JLB is your sounding board that will help you make the best business decision possible.